Avelino Gutiérrez is Professor of Archaeology at the University of Oviedo. Magdalena Valor is Professor of History and Medieval Archaeology at the University of Seville. The Iberian Peninsula represents a very particular case within the European context. During the Middle Ages Christians, Muslims and also Jews coexist in cities and the countryside. The territory was divided in Christian kingdoms and al-Andalus, both parts changing drastically between the 12th and 15th century. This book attempts to focus on differences, similarities and influences of these various cultures that developed during this crucial period between High and Late Middle Ages, as well as their heritage in present Spain. The volume is the first modern account in English of medieval archaeology in Spain benefiting from the extraordinary development of Spanish archaeological research arising from the creation of regional governments (Comunidades Autónomas) in the 1980’s. The Iberian Peninsula represents a very particular case within the European context. During the Middle Ages Christians, Muslims and also Jews coexist in cities and the countryside. The territory was divided in Christian kingdoms and al-Andalus, both parts changing drastically between the 12th and 15th century. This book attempts to focus on differences, similarities and influences of these various cultures that developed during this crucial period between High and Late Middle Ages, as well as their heritage in present Spain. The volume is the first modern account in English of medieval archaeology in Spain benefiting from the extraordinary development of Spanish archaeological research arising from the creation of regional governments (Comunidades Autónomas) in the 1980’s. This chapter provides an introduction to the authors’ survey of the archaeology of Spain between about 1100 and about 1500. 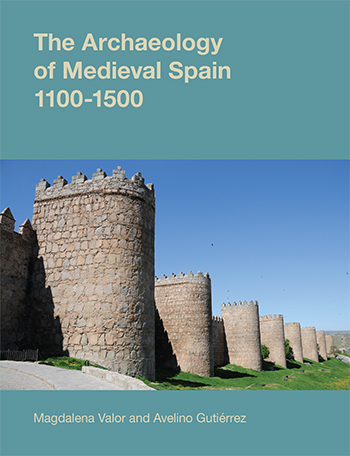 It comprises descriptions of the geographic situation of Spain and the main events of the medieval period; a short history of Spanish medieval archaeology; examples of new archaeological techniques in Spain today; and the broad intentions of the two main authors in writing the book. The Iberian Peninsula represents a very particular case within the European context. During the Middle Ages Christians, Muslims and also Jews coexist in cities and the countryside. The territory was divided in Christian kingdoms and al-Andalus, both parts changing drastically between the 12th and 15th century. This book attempts to focus on differences, similarities and influences of these various cultures that developed during this crucial period between High and Late Middle Ages, as well as their heritage in present Spain. The volume is the first modern account in English of medieval archaeology in Spain benefiting from the extraordinary development of Spanish archaeological research arising from the creation of regional governments (Comunidades Autónomas) in the 1980’s. The chapter begins in the countryside, both far from towns and next to towns. Villages, rural settlement and landscape studies are fairly new fields of archaeological study in Spain, in comparison with the archaeology of cities, the most visible form of evidence of the 12th to 15th centuries. Archaeological studies of rural settlement have become more common in the last twenty years; they include excavations in villages, studies of the environment through analyses of pollen, animal bones and soils, and the use of techniques of landscape archaeology such as interpretation of aerial photographs in order to discover deserted villages and former boundaries, forests and crops. 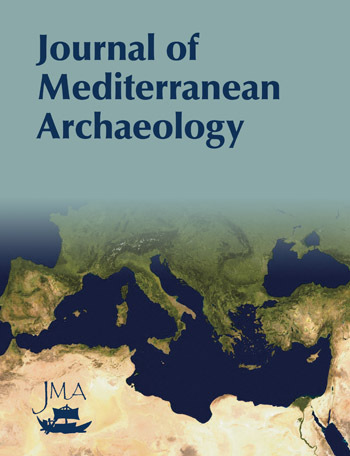 The authors review here archaeological models of Andalusi and Christian rural settlement and landscape, agricultural technology and deserted villages. The Iberian Peninsula represents a very particular case within the European context. During the Middle Ages Christians, Muslims and also Jews coexist in cities and the countryside. The territory was divided in Christian kingdoms and al-Andalus, both parts changing drastically between the 12th and 15th century. This book attempts to focus on differences, similarities and influences of these various cultures that developed during this crucial period between High and Late Middle Ages, as well as their heritage in present Spain. The volume is the first modern account in English of medieval archaeology in Spain benefiting from the extraordinary development of Spanish archaeological research arising from the creation of regional governments (Comunidades Autónomas) in the 1980’s. This chapter considers some general parameters for the study of medieval towns in Spain: the nature of the remaining archaeological evidence, including standing buildings; types of town and the periods and places where medieval town-planning evidently took place; and the archaeology of public buildings and works, especially extensions to towns which indicate real or intended growth. 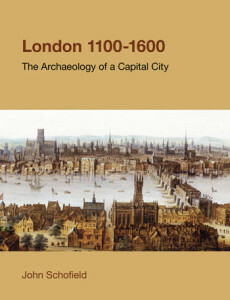 Certain urban themes, for instance on fortification, palaces, shipyards and industries, are taken up in more detail in the chapters which follow. The Iberian Peninsula represents a very particular case within the European context. During the Middle Ages Christians, Muslims and also Jews coexist in cities and the countryside. The territory was divided in Christian kingdoms and al-Andalus, both parts changing drastically between the 12th and 15th century. This book attempts to focus on differences, similarities and influences of these various cultures that developed during this crucial period between High and Late Middle Ages, as well as their heritage in present Spain. The volume is the first modern account in English of medieval archaeology in Spain benefiting from the extraordinary development of Spanish archaeological research arising from the creation of regional governments (Comunidades Autónomas) in the 1980’s. This chapter is dedicated to the study of houses is based largely on the authors’ own research interests, the cities of Andalusia and León. The Iberian Peninsula represents a very particular case within the European context. During the Middle Ages Christians, Muslims and also Jews coexist in cities and the countryside. The territory was divided in Christian kingdoms and al-Andalus, both parts changing drastically between the 12th and 15th century. This book attempts to focus on differences, similarities and influences of these various cultures that developed during this crucial period between High and Late Middle Ages, as well as their heritage in present Spain. The volume is the first modern account in English of medieval archaeology in Spain benefiting from the extraordinary development of Spanish archaeological research arising from the creation of regional governments (Comunidades Autónomas) in the 1980’s. In this chapter the author explores the topic of archaeological research into industrial activities during the Middle Ages is in its infancy. Working tools and devices, have been found in many late medieval rural sites, always in relation to the activities of everyday life. Industrial facilities are less well known as most of those investigated belong to the last centuries of the Middle Ages. Archaeological excavations carried out in recent years however have significantly increased our knowledge of medieval industry, making it one of the most progressive research fields in medieval material culture. There is abundant evidence for textile production, tanning and leatherworking, mining and metallurgy, pottery and glass making; and waterworks for powering olive oil or sugar cane production. The Iberian Peninsula represents a very particular case within the European context. During the Middle Ages Christians, Muslims and also Jews coexist in cities and the countryside. The territory was divided in Christian kingdoms and al-Andalus, both parts changing drastically between the 12th and 15th century. This book attempts to focus on differences, similarities and influences of these various cultures that developed during this crucial period between High and Late Middle Ages, as well as their heritage in present Spain. The volume is the first modern account in English of medieval archaeology in Spain benefiting from the extraordinary development of Spanish archaeological research arising from the creation of regional governments (Comunidades Autónomas) in the 1980’s. This chapter studies the trade and transport systems as clear indicators of the nature and health of the economic system of any society. The volume and scale of exchange and transfer of goods, people, skills and ideas constitute a measure of the systems of production and of the distribution of goods, from a local or regional scale to an international one. The buildings, public constructions and objects unearthed by archaeology enable us to identify whether a settlement had a subsistence economy, producing its own artefacts such as ceramics or metals and food without external trade, or whether the state had developed a complex market economy with far reaching trade and cultural contacts. The Iberian Peninsula represents a very particular case within the European context. During the Middle Ages Christians, Muslims and also Jews coexist in cities and the countryside. The territory was divided in Christian kingdoms and al-Andalus, both parts changing drastically between the 12th and 15th century. This book attempts to focus on differences, similarities and influences of these various cultures that developed during this crucial period between High and Late Middle Ages, as well as their heritage in present Spain. The volume is the first modern account in English of medieval archaeology in Spain benefiting from the extraordinary development of Spanish archaeological research arising from the creation of regional governments (Comunidades Autónomas) in the 1980’s. This chapter is concerned with castles, fortified places and town walls, their forms, purposes and effects. Castles and palaces as centres of authority and power are considered further in Chapter 8. These two chapters should therefore be taken together. The Iberian Peninsula represents a very particular case within the European context. During the Middle Ages Christians, Muslims and also Jews coexist in cities and the countryside. The territory was divided in Christian kingdoms and al-Andalus, both parts changing drastically between the 12th and 15th century. This book attempts to focus on differences, similarities and influences of these various cultures that developed during this crucial period between High and Late Middle Ages, as well as their heritage in present Spain. The volume is the first modern account in English of medieval archaeology in Spain benefiting from the extraordinary development of Spanish archaeological research arising from the creation of regional governments (Comunidades Autónomas) in the 1980’s. This chapter investigates the expression of secular power. This is most evident in both Andalusi and Christian contexts in the form of the royal palace. Here recent archaeological work is significantly altering the picture formerly given by architectural history. We can also follow royal and aristocratic ways of life as they were imitated in town and country by the rich and well-off. So this chapter alludes to the pastimes of hunting, feasting, sports and games, which were aristocratic activities and symbols of power, as well as other methods of display such as regalia and heraldry. The Iberian Peninsula represents a very particular case within the European context. During the Middle Ages Christians, Muslims and also Jews coexist in cities and the countryside. The territory was divided in Christian kingdoms and al-Andalus, both parts changing drastically between the 12th and 15th century. This book attempts to focus on differences, similarities and influences of these various cultures that developed during this crucial period between High and Late Middle Ages, as well as their heritage in present Spain. The volume is the first modern account in English of medieval archaeology in Spain benefiting from the extraordinary development of Spanish archaeological research arising from the creation of regional governments (Comunidades Autónomas) in the 1980’s. This chapter explores the topic of religion and its influence in the Spanish architecture. According to the authors, religion was a determining factor in Muslim society; it shaped ideological and political viewpoints and influenced social, familial and individual life. The Iberian Peninsula represents a very particular case within the European context. During the Middle Ages Christians, Muslims and also Jews coexist in cities and the countryside. The territory was divided in Christian kingdoms and al-Andalus, both parts changing drastically between the 12th and 15th century. This book attempts to focus on differences, similarities and influences of these various cultures that developed during this crucial period between High and Late Middle Ages, as well as their heritage in present Spain. The volume is the first modern account in English of medieval archaeology in Spain benefiting from the extraordinary development of Spanish archaeological research arising from the creation of regional governments (Comunidades Autónomas) in the 1980’s. In this chapter we deal with attitudes to life and death as revealed by archaeology, especially the kinds of funerary tombs and rituals; but also the archaeology of beliefs. Differences in religious belief produce differences in food and diet, customs, medicine and health care, as well as different rituals at the graveside. At the same time, both Muslim and Christian burial customs employed a variety of forms, from the simplest grave to the most complex monuments. So differences and variety may have many reasons.